Italian neurosurgeon Sergio Canavero is set to announce more details about his controversial head transplant surgery in September. 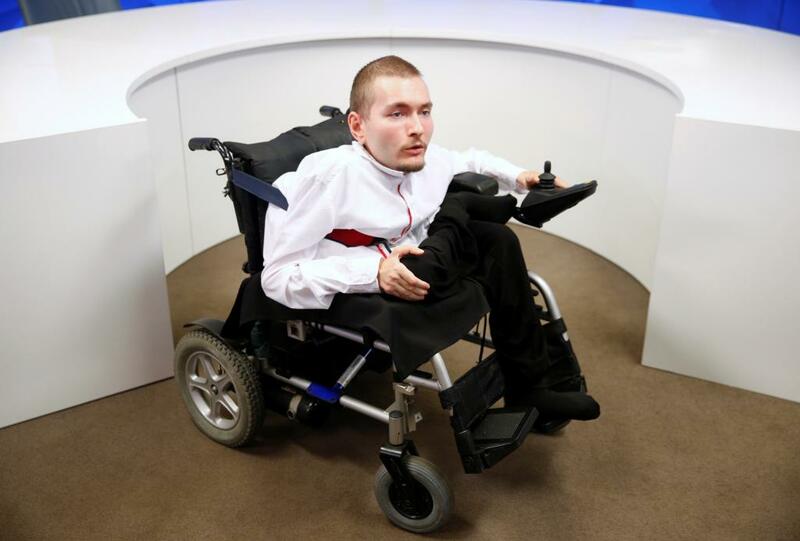 His first patient, Valery Spiridonov, 31, spoke about the operation during a press conference held by Russia’s Rossiya Segonya news agency. “I continue the dialogue with Canavero, we exchange the information and as far as I know, he is preparing a portion of news this September,” he said. At present, Canavero is planning to carry out the world’s first head transplant in December 2017. However, details of the operation have been lacking and many experts have heavily criticized the plan, saying it is not possible — or ethical. Spiridonov, a computer scientist, suffers from Werdnig-Hoffman Disease. This is a rare form of spinal muscular atrophy that causes his muscles to waste away and for which there is no cure. He was speaking at a conference to present his latest wheelchair project — an autopilot system that aims to improve the lives of people with disabilities. If and when the head transplant surgery will take place is not clear. Since first announcing his plan in February 2015, Canavero has given a brief outline on how the surgery would work. The patient’s head would be cooled down to about -15C. Both heads (patient and the dead donor) would then be severed and the patient’s would be attached to the donor. The spinal cords would then be fused together. Muscle and blood supply would be established. Many of Canavero’s critics say a successful head transplant is still far from becoming a reality for a multitude reasons — the main one being the fusion of the spinal cords. However, earlier this year a team of surgeons in China claimed to have successfully carried out a head transplant on a monkey. Xiaoping Ren, from Harbin Medical University, has a long history of carrying out head transplants on mice — but this was believed to be the first time the operation had been successfully performed on a monkey. Canavero announced the findings and released an image that appeared to show the monkey with its head stitched onto another body. Researchers said there was no neurological damage and that it survived for 20 hours before being euthanized. The team did not, however, attempt to connect the spinal cord. Further to the practical problems Canavero and his team face, the ethical implications of carrying out such a procedure are wide ranging. In an interview with China’s Xinhua news agency, Alberto Delitala, president of the Italian Society of Neurosurgery, said: “Our association’s stance is very clear: the central theme in the scientific method is that any new technique must be based on experimental tests submitted to an international scientific community before being applied to human beings. But Canavero has never been able to prove that he has succeeded in a head transplant on an animal. Next articleIS DEPRESSION REALLY RECOGNIZED IN AFRICA? Hy there, Look what we have for you! – We welcome you to our casino with $/€500 CASH! Hello! There is an important offer for you. Ciao! Look at an amazing offer for you. I want to offer the possibility of sending your commercial offers or messages through feedback forms. The advantage of this method is that the messages sent through the feedback forms are included in the white list. This method increases the chance that your message will be read. The same way as you received this message.